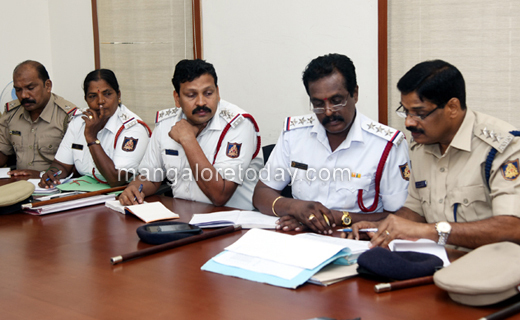 Mangaluru, Nov 02, 2018: Considering the several complaints by the public regarding the inconveniences caused due to the parking of luxury long distance buses on roadsides near Milagres and other places in the city, the Police Commissioner T R Suresh has banned entry of such buses into the city from 8 am to 8 pm. The Commissioner was responding to the complaints during phone-in held at his office today. A resident of Suratkal drew the attention of the Commissioner towards the problems arising due to parking of goods vehicles on the roadside near NMPT bus stand. The Commissioner instructed his officials to initiate action against such vehicles. Several from Mannagudda, Mulihitlu and other areas complained about the menace of the fish lorries which spill foul smelling water on road. As many as 20 calls were received during the phone-in on a wide range of issues including chain snatching cases, thefts and traffic problems. Most complaints were regarding the city bus services. 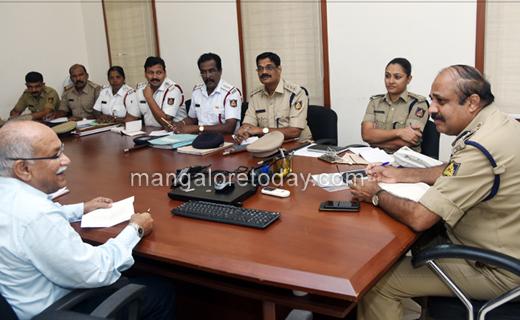 DCP (Law and Order) Hanumantharaya, DCP (Crime) Uma Prashanth, ACP (Traffic) Manjunath Shetty, Canara Bus Operators Association President Rajavarma Ballal, DK District Bus Operators Association President Dilraj Alva were present among others.